A gift refers to the transfer of an existing moveable or immovable property by one person to another. The transfer should be made voluntarily and without consideration. The person transferring the property is called the donor. The person to whom the property is transferred is referred to as the donee. Gift deed is a legal document which serves as an evidence of the transfer of property from the donor to the donee. Any person who is competent to contract can make a gift of his property. A minor, being incompetent to contract, is incompetent to make a gift. However, a minor can accept gifts. A gift to be valid must be made by a person with his free consent and not under compulsion. The donor must not be insane. Though the donor may be driven by feelings of love, affection, etc., these factors do not constitute the consideration of a gift as recognized by law. 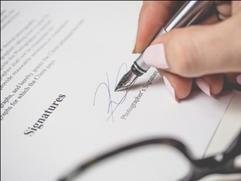 In order for a gift to be legally recognized, the person receiving the gift (the “donee”) or someone on his behalf must accept the property offered by the donor. This voluntary acceptance must be indicated in some way. Oral gifts of immoveable property cannot be made. No matter what the value of the property is, if it is immoveable, it must be gifted only through a registered instrument signed by the donor or one on his behalf. This must also be attested by at least two witnesses in order for the registration to be legally recognized.If there is no registered deed made along with the donation and gift of immoveable property, the transaction is not legally recognized as a gift. Entries made in the mutation register alone do not constitute the gifting of immoveable property. A gift of immovable property can only be made by a gift deed duly registered in the Sub Registrar Office after payment of adequate stamp duty and registration fee. A gift of immovable property, which is not registered, is not valid in law and cannot pass any title to the donee. The gift deed should be stamped with the appropriate stamp duty and attested by at least two witnesses. Mere delivery of possession without a written gift deed cannot confer any title. A property valuation report by a Government approved / registered valuer may also be required in certain situations to indicate the property value in the Gift Deed. 1. Stamp duty is payable @ 4% if the donee is a female and @ 6% if the donee is a male. This is payable even if the gift is being made to a family member such as Son, Daughter, Wife, Husband, Sister, Brother etc. 2. Registration fee is 1% of the total value of Consideration and Rs. 100/- for pasting charges. 3. Both Donor and Donee have to be present in the registrar office alongwith identification douments i.e., PAN Card, Election Card, Passport, Driving License etc. at the time of presentation. 4. Two witnesses alongwith identification documents need to be present during the Presentation before the Sub-Registrar for the Registration of Gift Deed. We provide services for the Drafting and Registration of Gift Deed in Delhi & Gurgaon . To avail our services, you may contact us at 8800418408. Want to get a Gift Deed registered? Leave your details here and we will get back to you.